The Bengal Florican is a critically endangered bird found in India, and any sighting of the species is a rare event and a cause to rejoice. Recently one member of the species was sighted in the grasslands of Dudhwa National Park for the first time this season. According to a report by the Bombay Natural History Society (BNHS), there are only about 300-350 birds presently surviving in India. The Florican was spotted in the South Sonaripur range of the Dudhwa National Park, about a kilometer away from the forest guest house, on the 30th of March. The sighted bird was a male florican out in search of a female partner. The Bengal Florican is a very shy bird by nature and hardly ever appears near human settlement. The male birds are slightly smaller with white wings that are noticeable against their black bodies or when in flight. During flight, the elongated black feathers on the head, neck and back give it a ‘mop-like’ appearance. The females are bigger and do not have such a sharp contrast in their wing colour. A picture of the bird was caught on camera by the sub-divisional officer of the park, Narendra Upadhyaya; who then reported that the sighted bird was a male. The bird was sighted early in the morning. They usually appear in the forests between March and May in search of a partner. The forests provide a safe habitat for the birds. However, they move towards agricultural lands where poachers and ill-effects of pesticides are threats. According to a survey by the International Union for Conservation of Nature (IUCN), there are about 1300 birds all around the world in the wild and are on the decline owing to the use of pesticides and chemicals used in the fields where they choose to reside post breeding season. 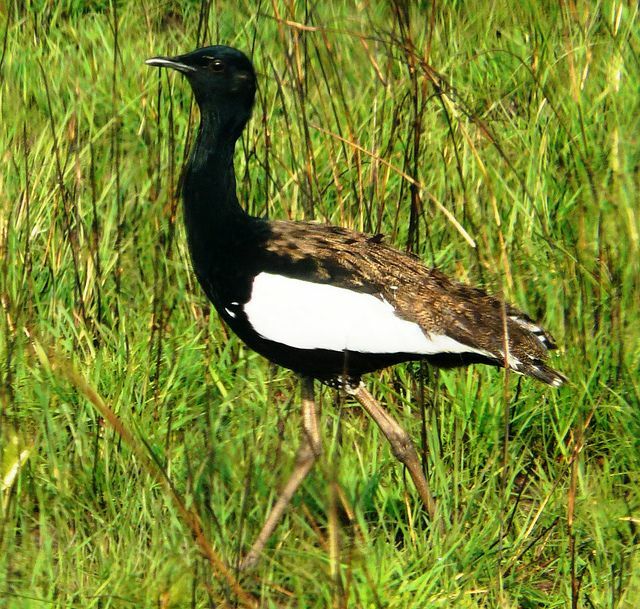 The Bengal Florican is found in India (Terai area), Cambodia, Nepal and Vietnam and is possibly extinct in Bangladesh, according to a 2015 IUCN report. The bird migrates within a distance of 10-20 kilometres of the forest region in search of low grasslands. It is possible to sight these birds in the low grasslands of the Terai region between March and June, the breeding season of the birds. In July, when the low grasslands are in danger of getting submerged due to monsoonal floods and the grass gets taller, the birds move to the agricultural fields and stay there for a while. That is when the birds are most likely to perish due to the threat of pesticides and chemicals. Certain communities are fond of eating the meat of this bird and hence try to kill them. There is zero or low awareness about the critically endangered status of these birds in the areas where they reside after coming out of the forests. the birds reside in the agricultural fields across the Sharda River only. 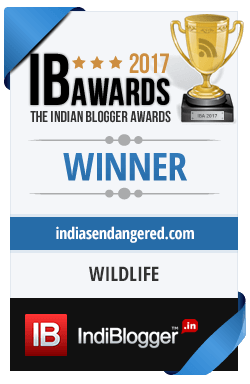 Urgent action to increase awareness and enroll the local populace in the conservation of the species might be a step in the right direction.